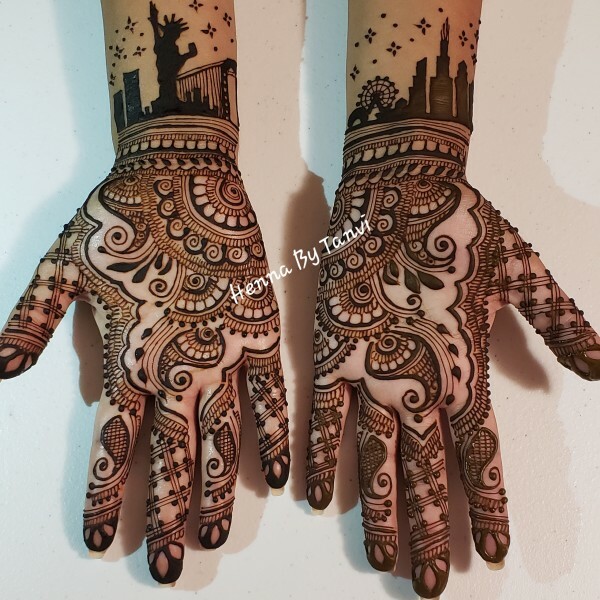 Tanvi Kacharia, the creative brain behind ‘Henna by Tanvi’ is a professional henna artist with more than 6 years of experience and is based in Lincoln Park, NJ. 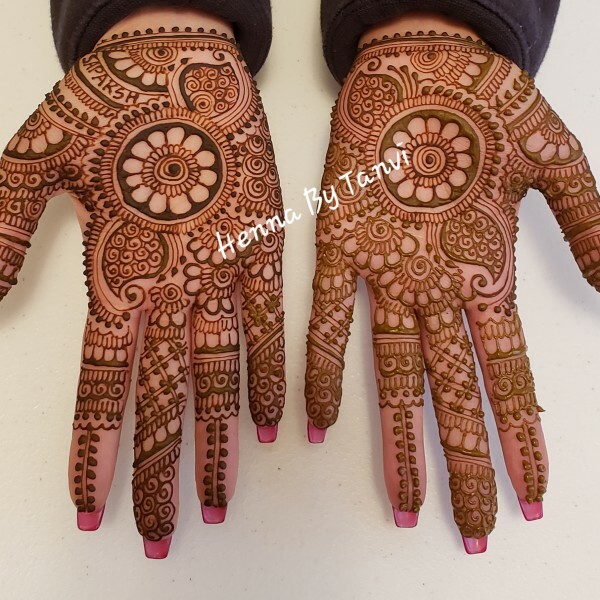 What started off as a hobby 10 years ago has now turned into a full time commitment with her experience spanning traditional and modern henna styles which includes Indian, Arabic, Floral and one of a kind body art. 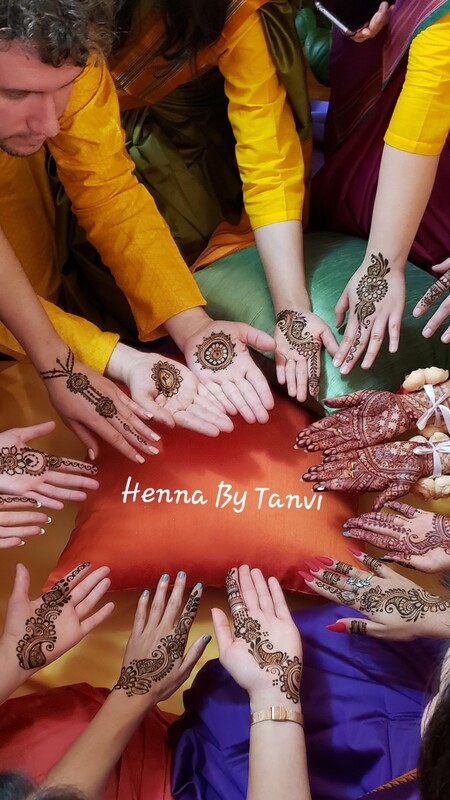 Tanvi specializes in bridal henna while also providing henna services for various occasions and events. 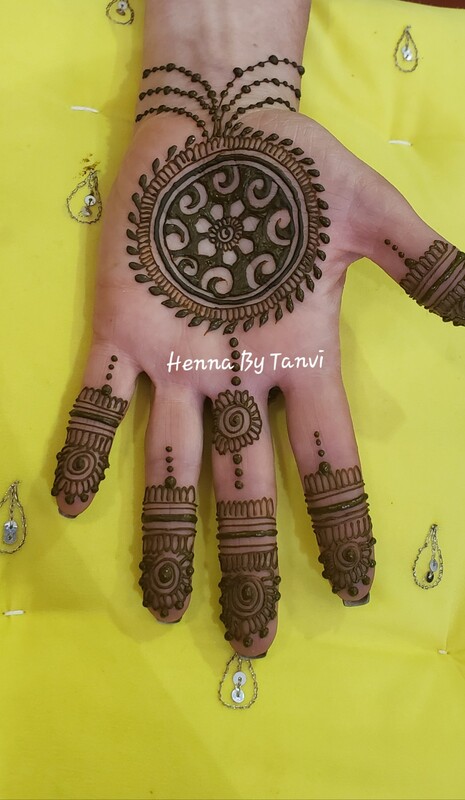 She makes her own henna paste using natural ingredients which help creates unique designs with clean lines and ensuring the best color for the client. 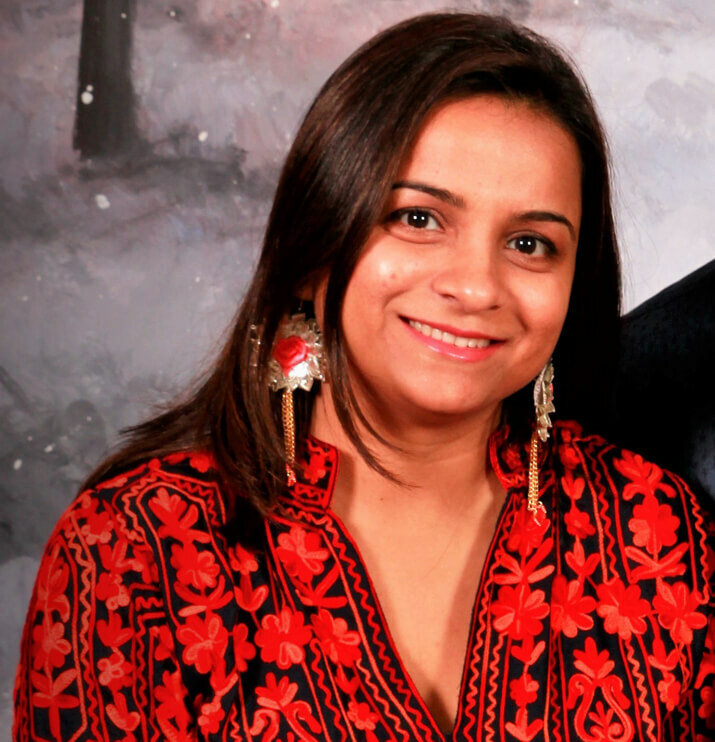 Her goal is to provide excellent client experience with creative detailed designs. 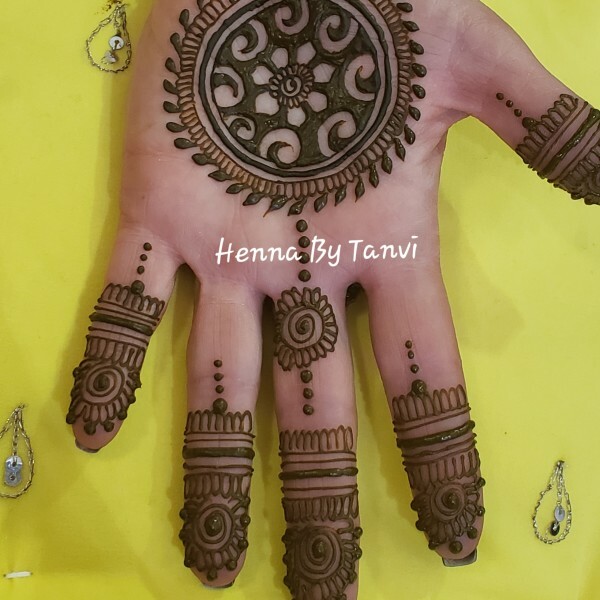 In addition to the henna art on body, Tanvi has expanded her creativity by designing unique products like LED candles, block letters and one a kind art canvases using henna art. 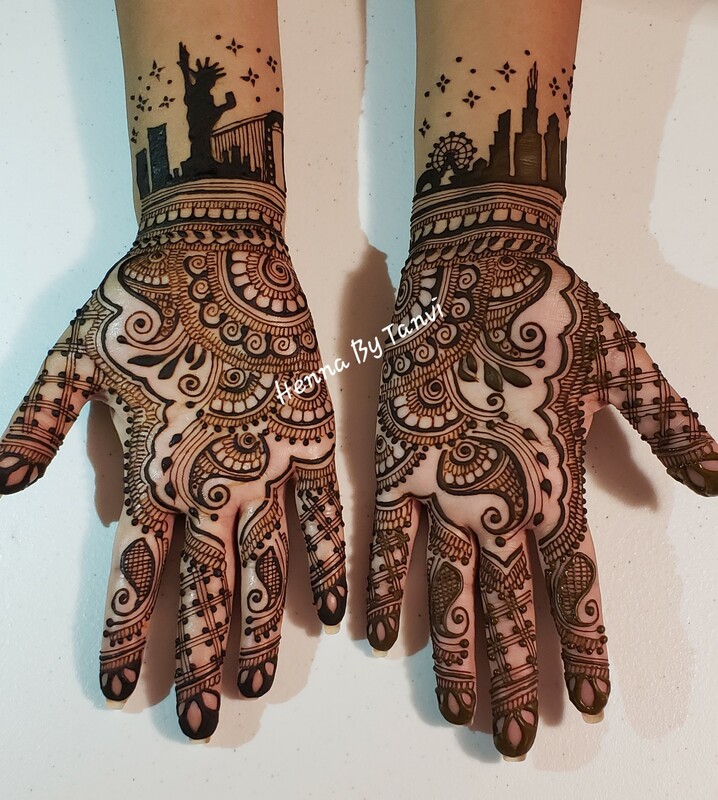 She is always eager to learn and share designs and techniques with other henna artist and keeping the art form current and interesting. 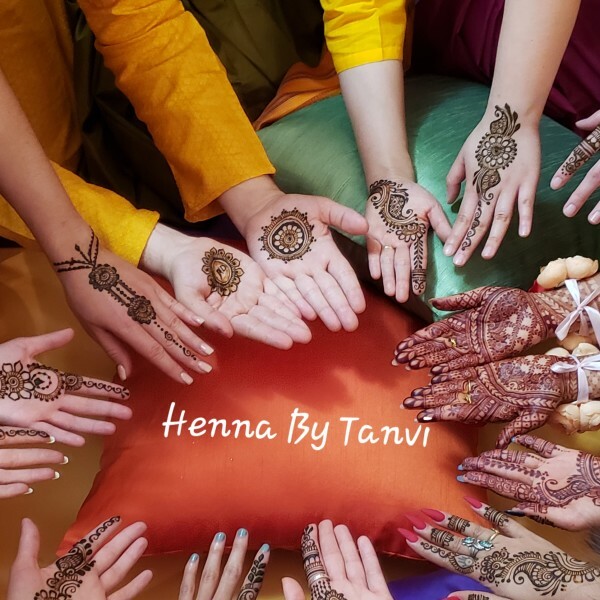 Welcome to ‘Henna by Tanvi’ and explore the website to learn more about the art, available henna service and unique products. 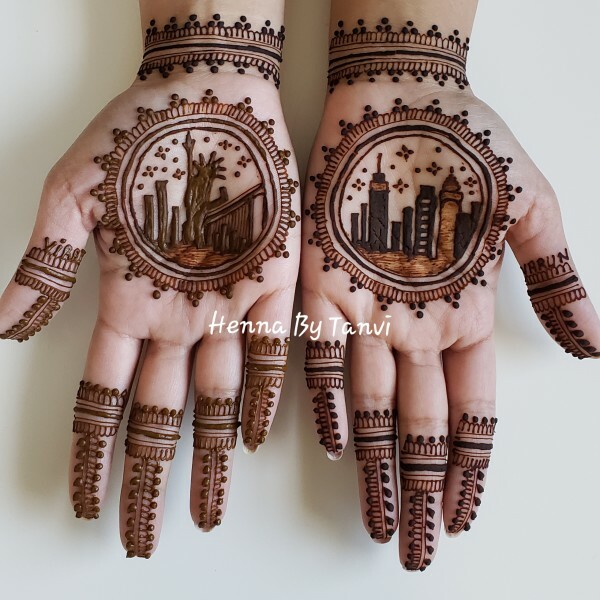 Henna (or mehendi) is, first and foremost, an adornment, a way of beautifying oneself. 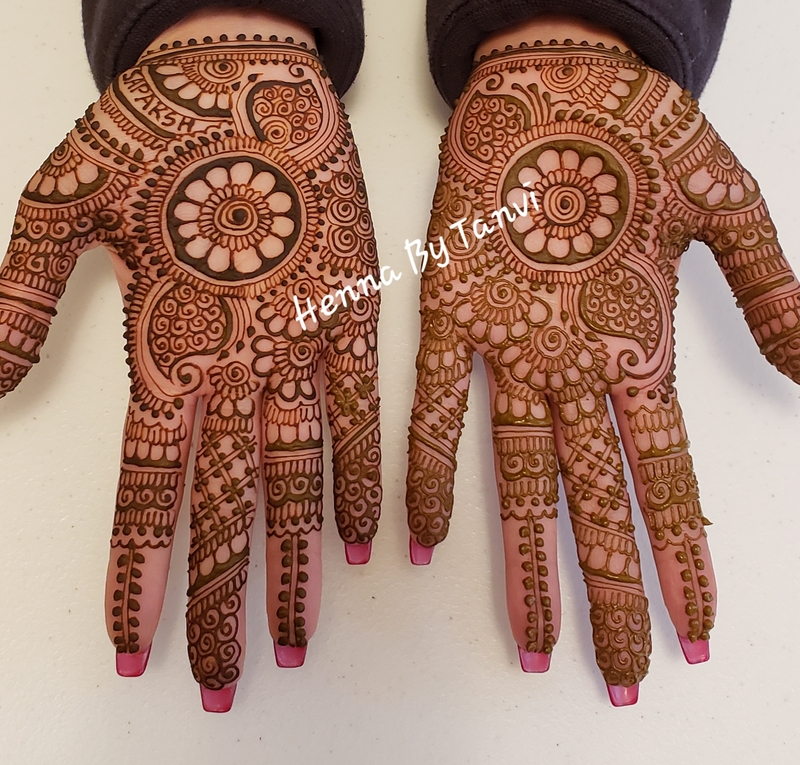 Henna is traditionally applied on hand and feet during special occasions like engagements, wedding, bridal shower, baby shower. 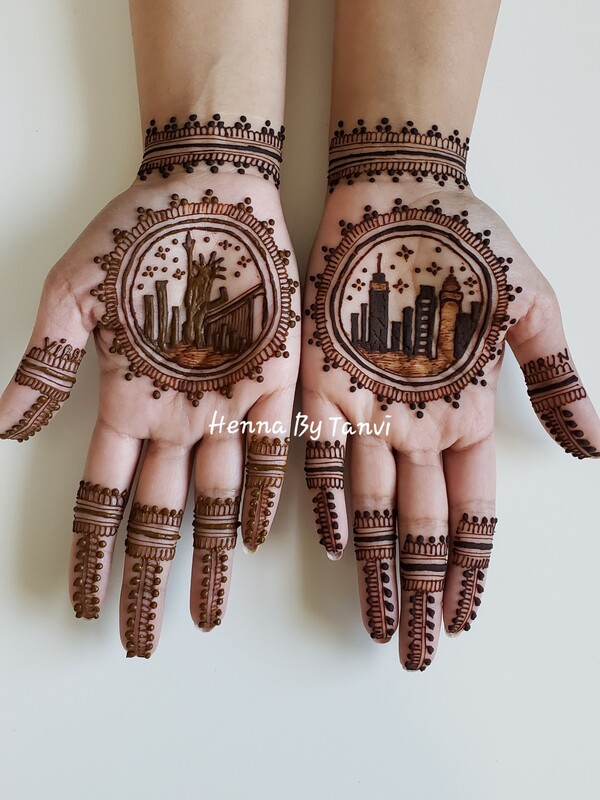 The richly beautiful art of henna knows no boundaries in culture, ethnicity, gender, religious or spiritual beliefs. 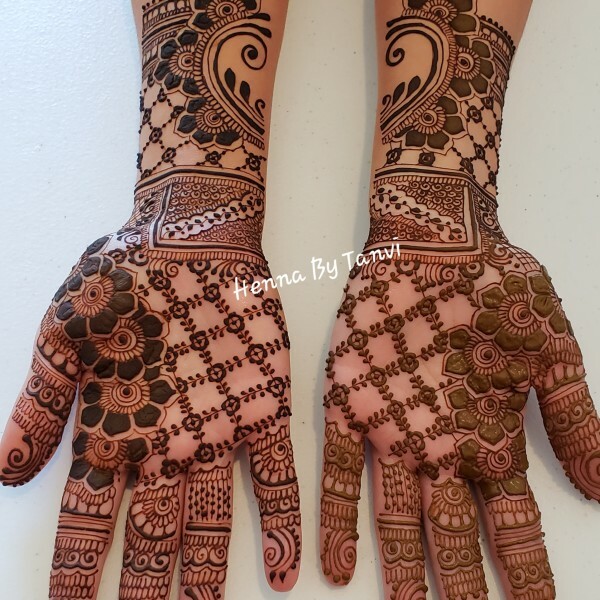 In its many forms, henna decorating is truly a gift of beauty, touch and trust. 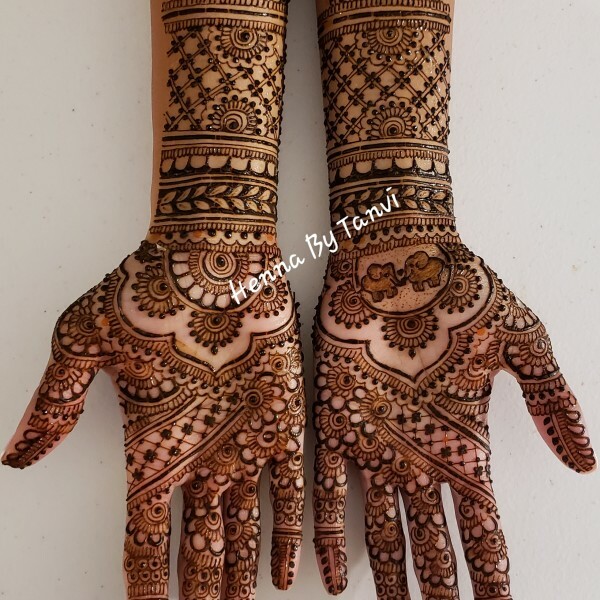 Henna (Botanical name: Lawsonia inermis) is a small shrub-like plant, found in tropical climates of Indian sub-continent, Malaysia, Africa, Middle Eastern countries. 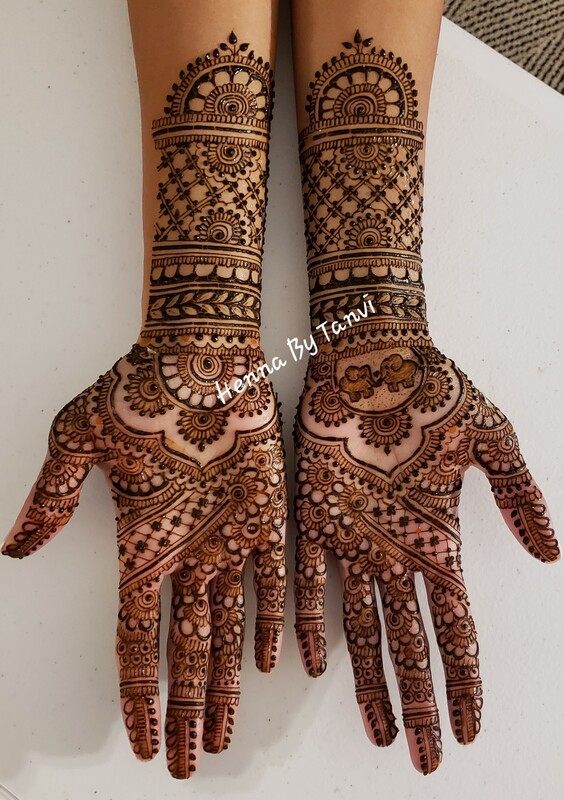 The leaves and branches produce a red-orange dye known as Lawsone that is responsible for imparting the characteristic reddish brown color when bound with protein molecules of the upper skin layer. Once the leaves are obtained they are crushed into fine powder, the powder is sifted, and then mixed with a variety of ingredients such as essential oils (eucalyptus, lavender, tea tree etc.) and water to create a smooth paste which is then left for 10-12 hours for the dye to get released. This paste is then poured into the applicator (a henna cone rolled from cellophane) which allows the artist to create fine, precise lines. 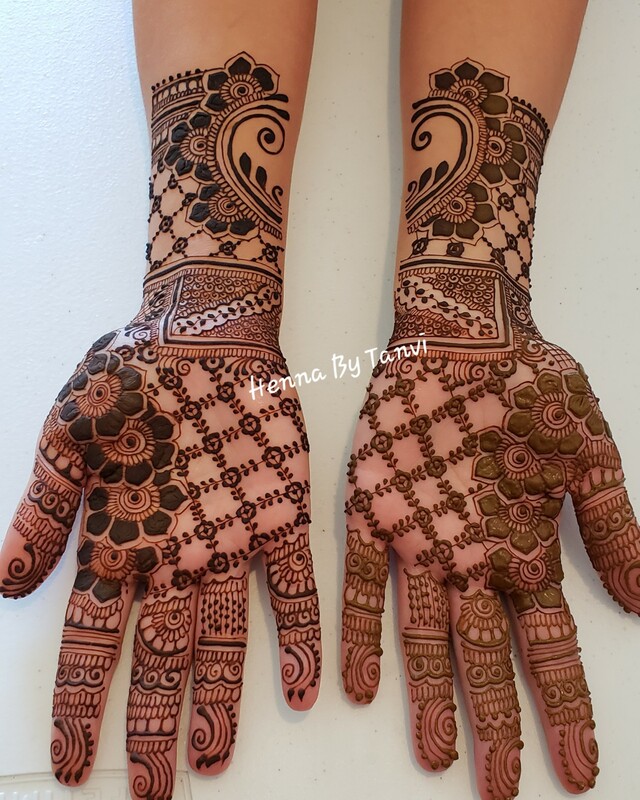 Please visit the FAQ page to learn more about the art, how henna is applied and it’s after care.